At the end of 2017 the Western Force were booted out of Super Rugby after a long and costly fight. Aussie billionaire Andrew “Twiggy” Forrest had joined the fight for the Force to stay in the competition, throwing his considerable fortune and his influence into the fight. Unfortunately he arrived on the scene rather late – too late to make a difference, a bit like someone who arrives at the wedding reception after all the other guests had already left. 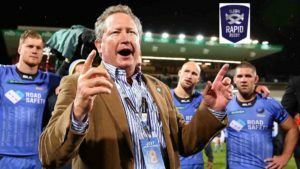 In a bid to “save” the Western Force, Twiggy promptly launched his own rugby competition, known as the “Indo-Pacific Rugby Championships”, with the expressed intention of rivalling Super Rugby as both a competition and a spectacle for the fans. Initially the Indo Pacific Rugby Championship was set to kick-off in March 2019 and would consist of the reconstituted Western Force and five other teams from the Indo-Pacific region. Twigs soon realised that a break of one year between the demise of the Force in Super Rugby and the launch of his Indo-Pacific competition might be a bit of a problem. The players he needed to fill the changeroom lockers in Perth might well disappear from that city as they went off to try and earn a crust as professional rugby players elsewhere in the world. Was he going to pay them to hang around for a year, doing nothing? He had, somehow, to keep the boys from the Force busy! A quick rethink and an inaugural competition was launched in 2018. The competition was quickly rebranded, somewhat gradeously, as “World Series Rugby” and consisted of a series of exhibition matches played as a warm-up for the wider Asia-Pacific competition planned for 2019. The Western Force played international teams from Hong Kong, Samoa, and Tonga along with two Super Rugby teams, the Crusaders and Melbourne Rebels, Japanese Top League team Panasonic Wild Knights, and the Fiji Warriors, the second-tier national side. The series began on 4 May 2018. Twiggy Forrest has, again, revamped the competition. 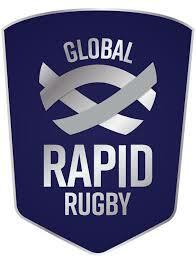 He announced a rebranding, with “World Series Rugby” becoming “Global Rapid Rugby” next year. The new competition will consist of eight teams drawn from six countries, and will include an American team based in Hawaii, while a team from Hong Kong has also committed to the competition. Teams from Singapore, Malaysia and Fiji are also considering committing to the proposed eight team tournament. Forrest, who labelled the competition a “new and bright dawn” for Australian rugby last year, has been vocal in encouraging a New Zealand team or two to get on board. None have yet been prepared to break away from the existing structures of New Zealand rugby, and there are doubts whether any top-level New Zealand players will be prepared to risk their careers by joining Global Rapid Rugby. We are told that further expansion to countries like China, India, the United Arab Emirates, Sri Lanka and Korea is possible for the competition from the 2021 season onwards. Certain rule variations, tested in this year’s interim series, will continue to be used next year. This includes the seven-point try, awarded if a team launches a successful attack from within their own 22. There are still many details to iron out ahead of the next instalment of the competition, which has been referred to as “the IPL of rugby”. The competition is pencilled in to run from February to June, and will include a prize pool of AUD$1 million (NZ$1.07 million). The funding of the participating teams is a huge concern, especially for any Aussie or Kiwi team that wants to join in, as they will not be funded by either New Zealand Rugby nor Rugby Australia. The teams from the Pacific islands and Hawaii, Singapore, Malaysia and Fiji do not have their own playing facilities nor a support base that will provide the funds that will make their participation financially viable, especially considering the travel costs for teams that are widely spread across the region. Adding teams from countries where rugby is something of a foreign concept is, perhaps, an admirable goal, but the question has to be asked. How do you build and maintain a professional rugby team in China, India, the UAR, Sri Lanka, and Korea? This idea is going to cost a lot of money. Where will it come from? Perhaps it all depends on how deep Twiggy Forrest’s pockets will be? “It’s a brilliant new name for a brave new beginning,” Forrest said in a statement. “Rapid Rugby is the perfect name that speaks directly to what we will deliver in 2019 and beyond – a dynamic sports and entertainment concept. “We are working hard on taking the success of the 2018 series in Perth (played under the banner World Series Rugby) and super-charging it for the Asia-Pacific region, and I am confident it’s going to be even more innovative and exciting than what people experienced this year. It sounds brave and everyone likes a maverick. But…….. The jury is still out on this one….. Previous articleINJURY UPDATE: Etzebeth Making Good Progress!